Frame 1: a photo of a cluster of leaves that endured winter together. 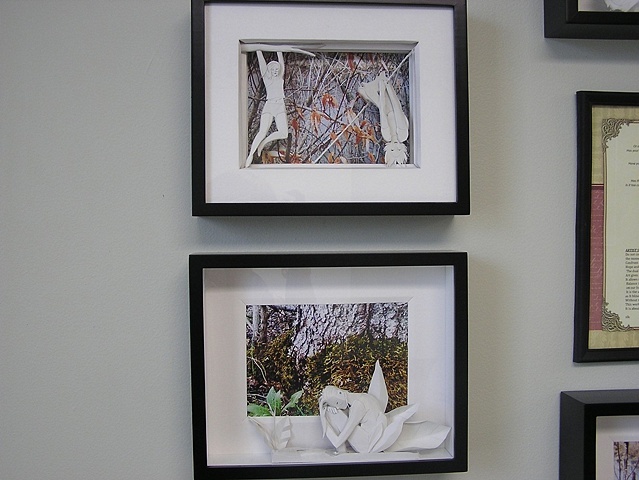 The paper sculpture illustrates the camaraderie the artist saw here. Frame 4 is a photo of a singular clump of new leaves sheltered by the largess of a moss-covered tree framed by a figure in hiding from her pain.Placement points out the contrasting perspectives.